Who would like to rescue lovely Percy Mitchell ferry Hauley 3? Boatbuilder Kyle Abingdon is trying to save Hauley 3, which was built by Percy Mitchell at Mevagissey in 1939, and has a typically lovely Mitchell hull-form. She’s the old ferry from Dartmouth. Essentially a wooden tug boat, she is 40ft long and in imminent danger of being cut up. Kyle says she’s free to a good home. She needs a lot of work, including re-fastening and about 45% re-planking, a new deck and engine, and of course a new deck, superstructure and engine. It’s a lot, but as Kyle points out, she’s a particularly beautiful historic vessel. Contact Kyle at kyleabingdon@yahoo.co.uk . Author Gavin AtkinPosted on February 2, 2019 February 2, 2019 Categories Boatbuilders and restorers, Boating, boats, ships and the sea, Restoration and repair, wooden boat, Working boatsTags Dartmouth, Hauley 3, percy mitchellLeave a comment on Who would like to rescue lovely Percy Mitchell ferry Hauley 3? 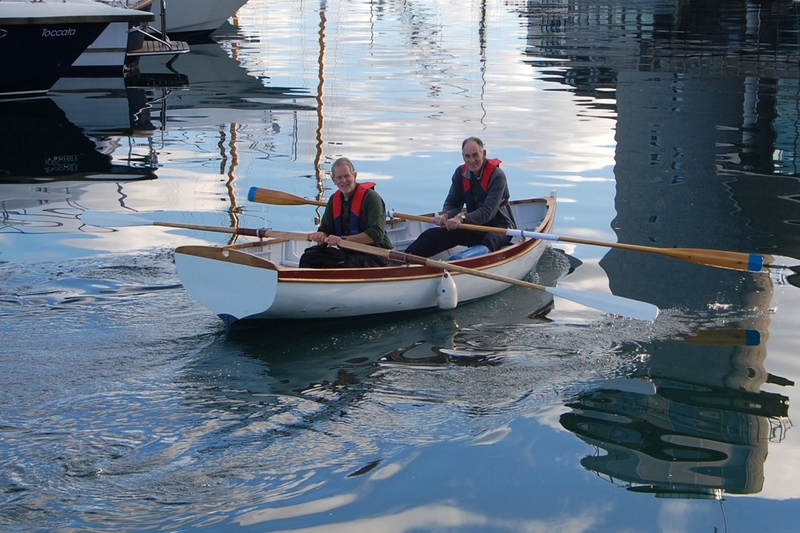 The 1908 15ft rowing boat named White Owl has been restored at the National Maritime Museum Cornwall. White Owl was built in Falmouth in 1908, by Jacketts Yard, which priced her at ten shillings per foot – one of Jacketts’ best known customers was the Newlyn School painter and photographer Henry Scott Tuke. See his entry at the Wikipedia website to see some of his works and for his story. Although White Owl has undergone extensive work, she is said to retain much of her original timber. 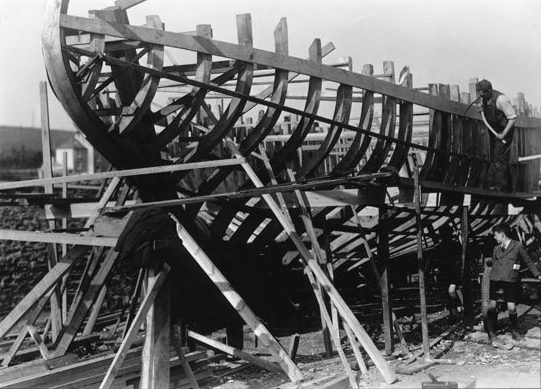 The conservation and restoration was started by the well known local boat builder Ralph Bird before he died, and finished by a team of Museum volunteers led by Henry Wylie. 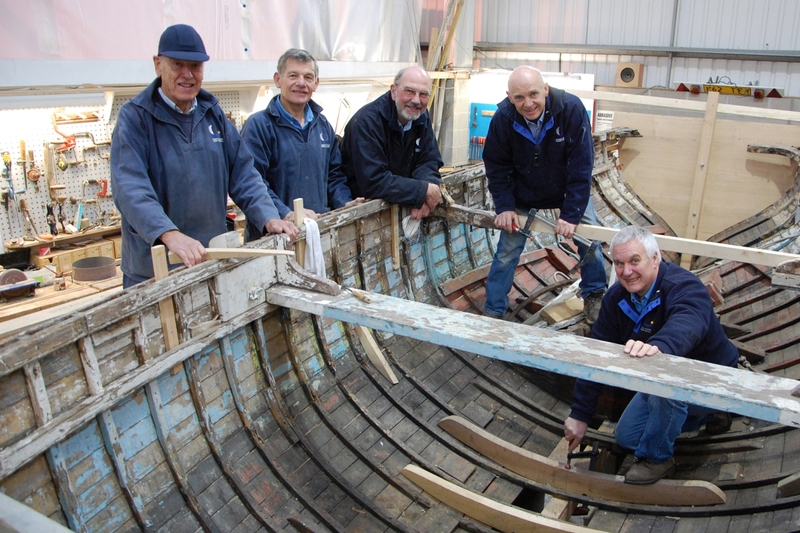 The team is now starting work on restoring a Mevagissey tosher. Sea Queen was built at Mevagissey in 1924 by legendary boat builder Percy Mitchell – she was in fact only the second boat he built. The first stage of her restoration is being funded by a donation from one of the Museum’s trustees and the Museum is currently seeking funds to purchase the materials for the remaining work. 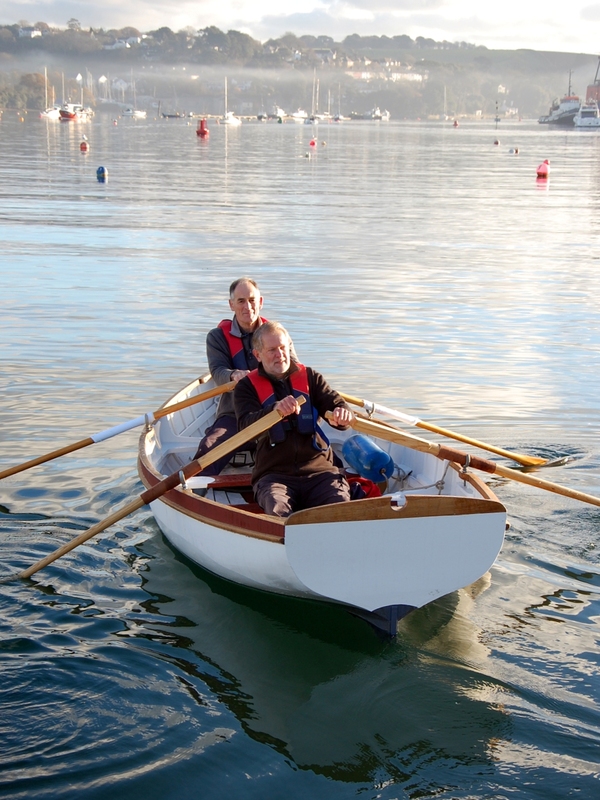 Percy Mitchell’s son Gary will be giving a lunchtime lecture at the NMMC 3 March next year, where he will be discussing his father’s life and work – he built no less than 360 boats ranging from dinghies to racing yachts. To book seats call 01326 214546. 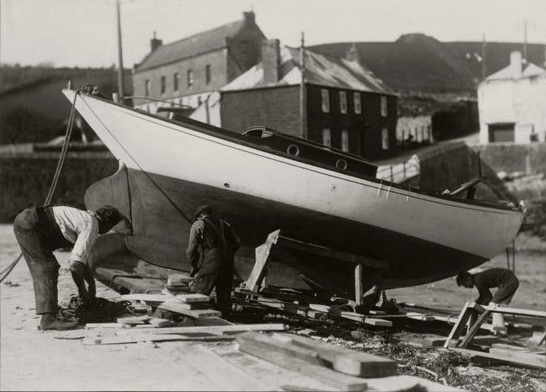 These photos come from the collection that will be used to illustrate a new edition of A Boatbuilder’s Story, the autobiography of legendary self-taught Port Mellon boat builder Percy Mitchell, who was born in 1901. I gather he was described by yacht designer and cruising author Dr Claud Worth as ‘an artist in wood’. A Boatbuilder’s Story is said to include a particularly moving account of the building of the large Cornish fishing lugger Ibis. Read all about the new edition here.